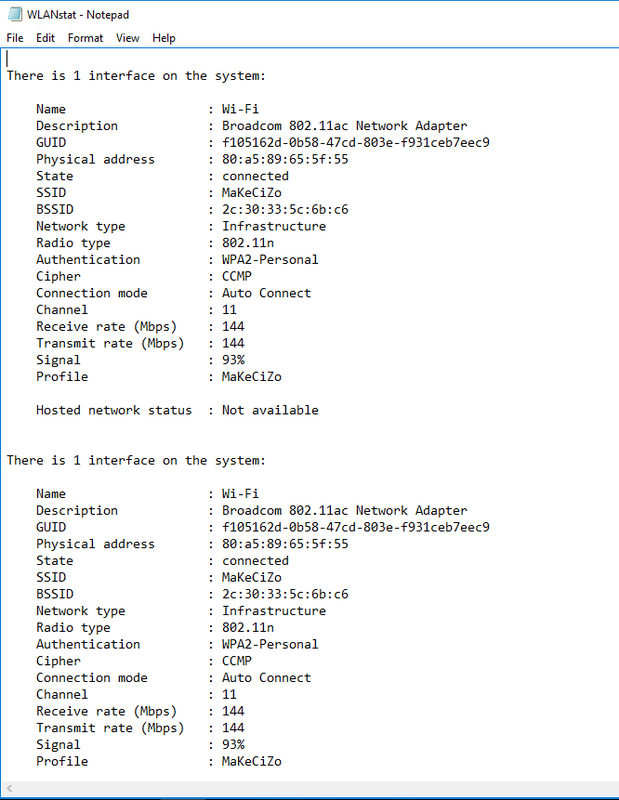 If you’ve been working in WiFi for at least a little while, then you should know what most of these mean. 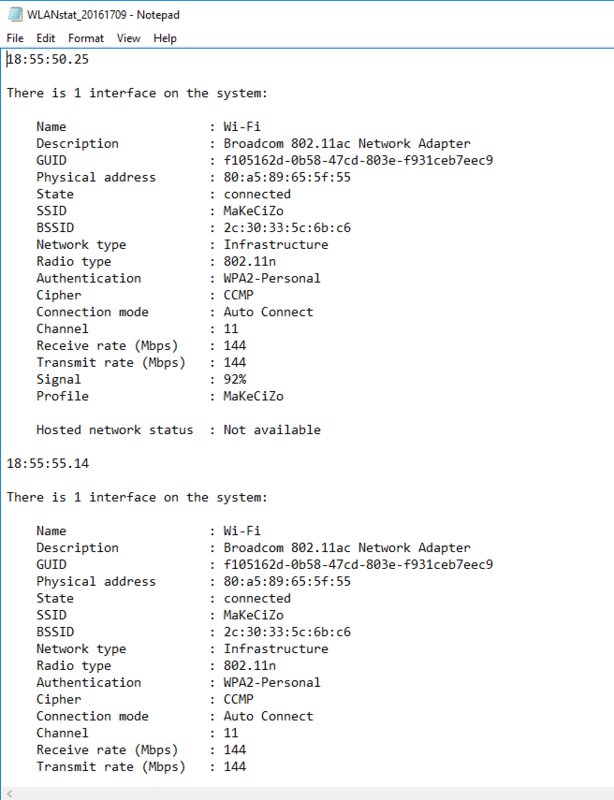 Really important ones to pay attention to are BSSID (mac address of the radio of the AP you are connecting to) and Signal (received signal strength from AP). So a 50% would be a -75 dBm. A 70% would be -65 dBm. 100% is -50 dBm or better. Those are the markers I keep in my head when looking at it. You can replace “WLANstat” with whatever you want to name the file. Starting to trust me yet? OK, so now we have our output being saved in a text file to review later. We’re done here, right? Wrong, good sir, wrong. Wouldn’t it be nice to have some sort of timeline to reference? It would, right? That’s what I thought as well. 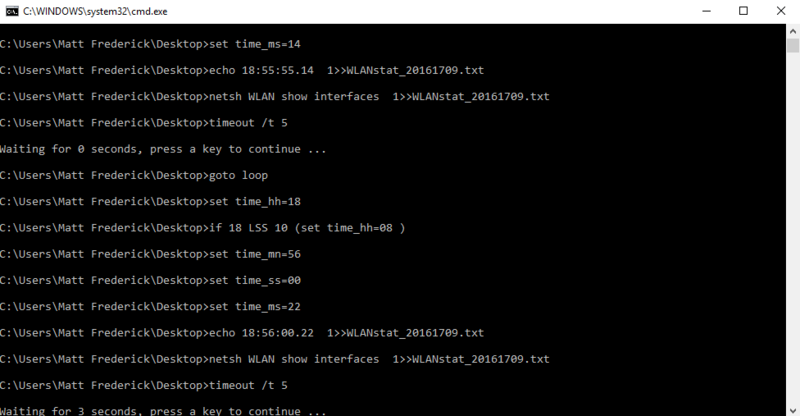 So, after an hour or so of furious googling, playing, scripting, cursing, googling more, scripting more, cursing more, and having a beer I found a way to get the timestamp in there. Now I am posting it here to hopefully help my WiFi brethren not have to endure what I did. The string after the filename will append the date in the filename…..just for extra awesomeness…. 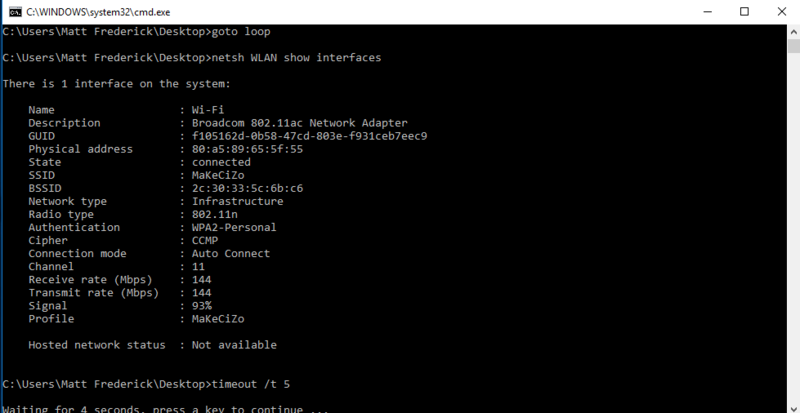 So, if you want to document the roaming behavior and perceived signal strength of a Windows client on the network without having to login to the network and look through logs, just open the batch file and walk around and close it when you are done. It’s super quick and easy and gives you some pretty valuable information. Comment below or tweet me @mattbfrederick with any feedback/questions. Awesome! 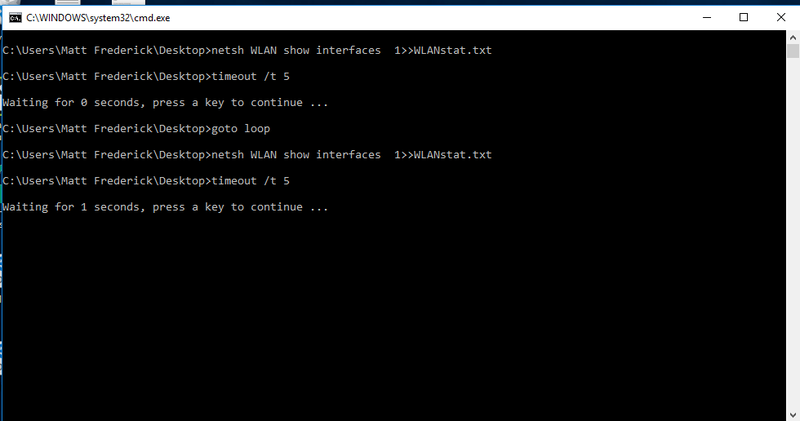 Thank you so much for your time and effort in creating this batch file. I’m sending this to my network team for use.